St. Ann's Center for Children, Youth and Families has achieved national reaccreditation through the New York-based Council on Accreditation (COA). Over the last several weeks, I have been awed by the tremendous generosity and kindness of St. Ann’s friends on behalf of our families. Today is #GivingTuesday! Give the Gift of Hope. Black Friday. Cyber Monday. GivingTuesday. This year, we kick off our Year-End online giving campaign by inviting you to support St. Ann's this #GivingTuesday, the global day of giving. This past week St. Ann’s experienced the loss of a dear friend, Anne Schneiders. Anne was a force within the community. With a deep passion to help the most vulnerable children in this country, Anne dedicated her life to giving a voice to our youngest members in society. Pledge to Make a Difference through the 2017 Maryland Charity Campaign (MCC)! 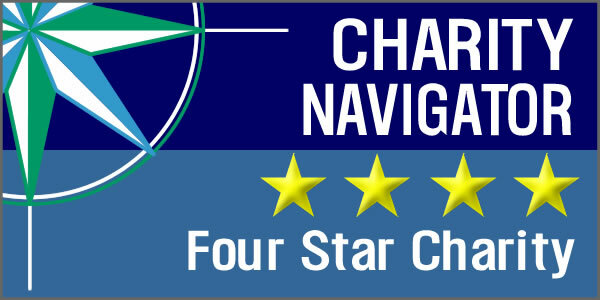 On September 1, 2017, we received a 4-star rating from Charity Navigator, America’s largest independent charity evaluator, for demonstrating strong financial health and commitment to accountability and transparency. This week we welcomed 45 little faces back to our Child Care Center.